Tagalog is one of the Puget Sound’s most widely-spoken community languages. 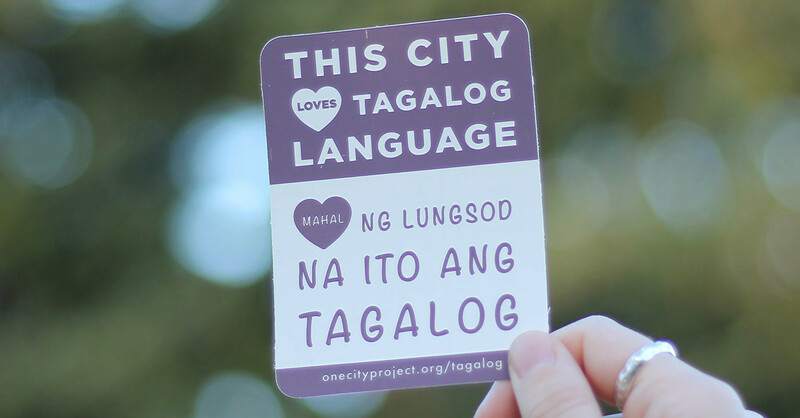 Show your support for our local languages and our Filipino community with one of these stickers. 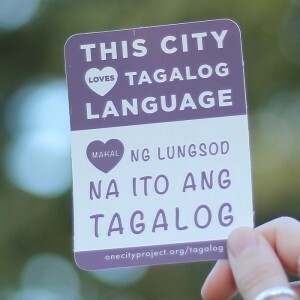 Each sticker says “This City Loves Tagalog Language” in both English and Tagalog. Our Tagalog stickers are 3 inches wide by 4 inches tall and printed on high quality vinyl. They are suited for indoor and outdoor use, and will last 3-5 years without fading. 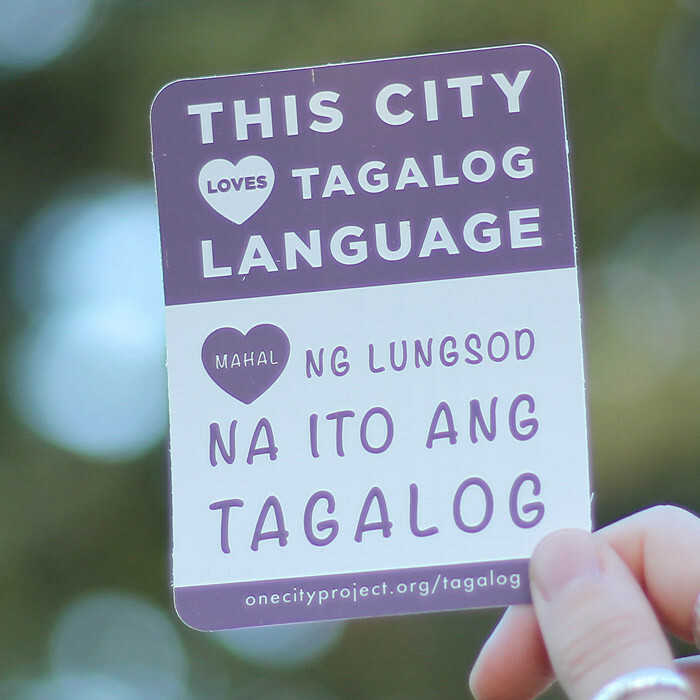 Use your sticker to show how your community values Tagalog language! Post it on your laptop, car window, notebook, storefront, share them with your friends, or engage students in your classroom.